In this post, I will write about how to install and configure Neovim on Windows 101. The builtin CMD on Windows is awful. 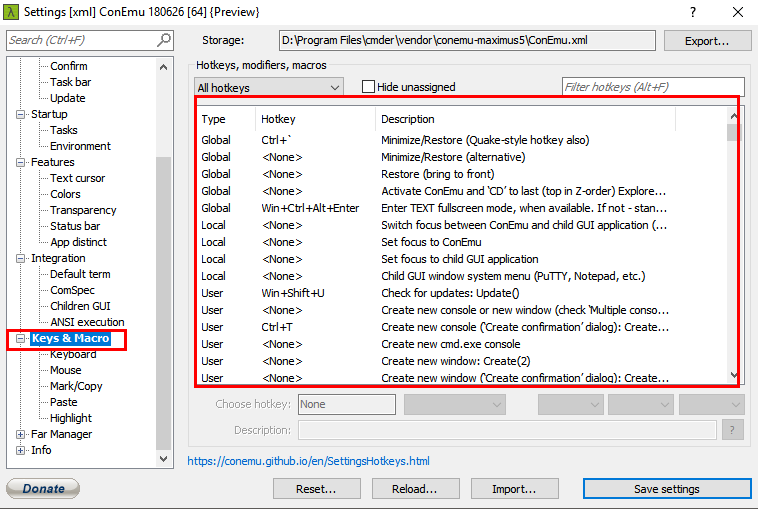 It is strongly recommended to use a better terminal emulator, for example, Cmder, which installs git for Windows and other utilies. You can download the latest compiled release file from Neovim GitHub repo. Then extract the package and add the extracted folder to your PATH so that you can invoke nvim on your command line. According to Neovim official documentation, you should put neovim config file init.vim under directory ~/AppData/Local/nvim. When you use :PlugInstall, all the plugins will be installed under ~/AppData/Local/nvim/plugged. You can change this directory to what you want. When I exit Neovim, the window content in Neovim is still shown in the command line, wasting a lot of space. How to clear the Neovim window content after quit? Restart Cmder and the issue should disappear. More discussions here. However, pressing Enter key has no effect. Neovim will stuck here unless you press Ctrl-C to terminate this process. For Cmder, Ctrl-W is used to close a console. Unfortunately, this shortcut is also used by Neovim as Windows switching prefix. There are maybe some other conflicting shortcuts, for example, Ctrl-V does work like Linux. To disable the conflicting shortcuts in Cmder, go to Keys & Macro part to change or disable a shortcut. It doesn’t work either. Until I find the solution , I use Ctrl+shift+6 to switch buffers. where to put Neovim config file. Set terminal type for Cmder.